SilentiumPC introduces a new series of proprietary all-in-one CPU liquid cooling solutions. The Navis RGB series is available in three variants with the different radiator sizes 120, 240 and 280. The units focus on great built-quality, reliability and performance while incorporating discreet RBG illumination. Compatibility to latest CPU sockets and easy installation assure that even novice users are able to enjoy all the advantages of the new all-in-one CPU liquid cooling solutions. Navis RGB water block features professional-grade copper bearings and 9-pole motor pump to ensure smooth and noise-free operation. 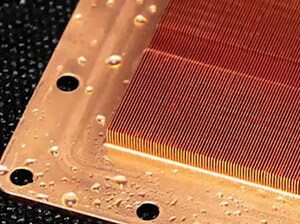 Copper cold-plate with series of flow-optimized channels enable efficient heat transfer to an all-aluminum, single or dual 120/140 mm radiator. High static pressure Sigma HP RGB fans are the perfect match for the radiators, as they are offering optimum airflow through the fin matrix. All the units are equipped with 380 mm long and extremely durable yet flexible tubes, allowing for multiple installation options, either in front, top or rear of the case. 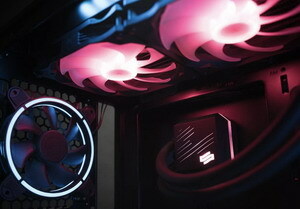 Yet another feature of the new Navis RGB series is the RGB LED illumination system. It lights up the distinct pattern on the water block as well as the fan rotors with visually stunning yet discreet colors and effects. All major motherboard RGB systems, such as Asus™ Aura as wells as manual control via included Nano RGB controller and the advanced Aurora Sync controller available in SilentiumPC Armis TG RGB cases are supported by the Navis RGB series. The Navis RGB units come pre-assembled, filled with liquid and ready for simple installation, no further maintenance is required. Available either as versatile 120 version (single 120 mm fan), performance oriented 240 (dual 120 mm fans), or the quietest 280 (dual 140 mm fans). 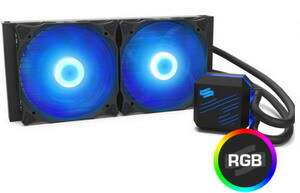 The SilentiumPC Navis RGB series is available as of today.